Following the market opening Wednesday, the Dow traded up 0.24 percent to 16,294.74 while the NASDAQ gained 0.51 percent to 4,134.09. The S&P also rose, surging 0.20 percent to 1,855.67. Healthcare stocks gained Wednesday, with Senomyx (NASDAQ: SNMX) leading advancers after the company announced a research agreement with PepsiCo (NYSE: PEP). 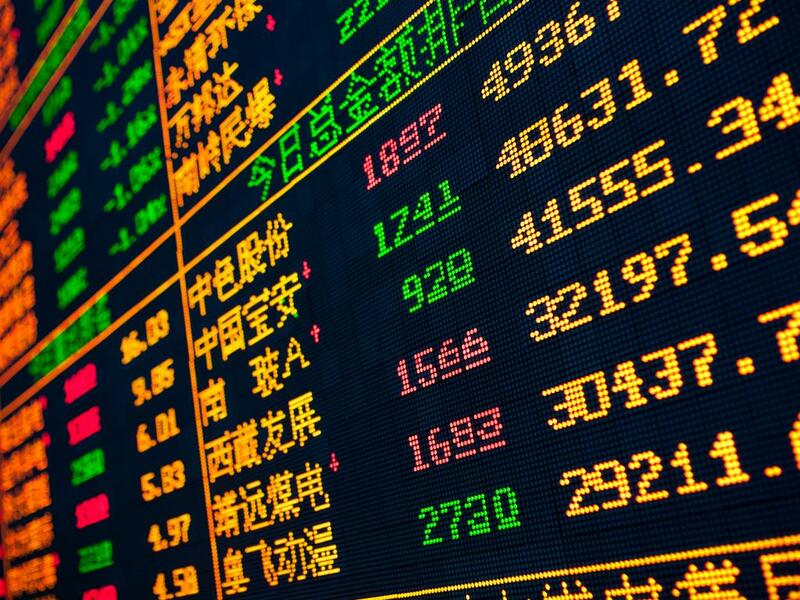 Among the leading sector stocks, gains came from Pernix Therapeutics Holdings (NASDAQ: PTX), Albany Molecular Research (NASDAQ: AMRI) and Gentiva Health Services (NASDAQ: GTIV). In trading on Wednesday, utilities shares were relative laggards, down on the day by about 0.25 percent. Top decliners in the sector included Companhia Energética de Minas Gerais SA (NYSE: CIG), off 5.3 percent, and Companhia de Saneamento Basico do Estado de Sao Paulo (NYSE: SBS), down 3.3 percent. Constellation Brands (NYSE: STZ) reported better-than-expected fiscal fourth-quarter earnings. Constellation's quarterly net income surged to $157.2 million, or $0.79 per share, from $81.7 million, or $0.43 per share, in the year-ago period. Its net sales climbed to $1.29 billion versus $696 million. However, analysts were expecting earnings of $0.76 per share on sales of $1.29 billion. Constellation expects FY15 earnings of $3.95 to $4.15 per share. Constant Contact (NASDAQ: CTCT) shares shot up 26.32 percent to $27.69 after the company lifted its Q1 and FY14 revenue outlook. 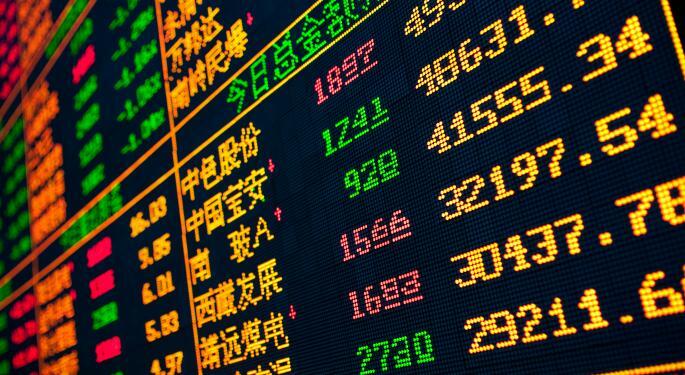 Shares of Prothena Corporation plc (NASDAQ: PRTA) got a boost, shooting up 6.99 percent to $32.00 after the company reported the successful start of a Phase 1 clinical trial of PRX002 for the treatment of Parkinson's disease. Citigroup initiated coverage on the stock with a Buy rating and a $50.00 price target. Constellation Brands (NYSE: STZ) shares were also up, gaining 1.58 percent to $82.77 after the company reported better-than-expected fiscal fourth-quarter earnings. Shares of Intuitive Surgical (NASDAQ: ISRG) were down 7.92 percent to $451.02 after the company issued downbeat revenue forecast for the first-quarter. The company expected revenue of around $465 million, versus analysts' estimates of $535.5 million. Sterne Agee initiated coverage on the stock with an Underperform rating. Mistras Group (NYSE: MG) shares tumbled 3.97 percent to $21.30 after the company reported downbeat Q3 earnings and lowered its FY14 EBITDA forecast. Ashford Hospitality Trust (NYSE: AHT) was down, falling 5.80 percent to $10.55 after the company priced 7.5 million shares at $10.70 per share. In commodity news, oil traded up 0.01 percent to $102.57, while gold traded down 0.48 percent to $1,302.80. Silver traded down 1.63 percent Wednesday to $19.73, while copper fell 1.25 percent to $3.01. European shares were higher today. The Spanish Ibex Index rose 0.42 percent, while Italy's FTSE MIB Index climbed 0.66 percent. Meanwhile, the German DAX rose 0.15 percent and the French CAC 40 jumped 0.44 percent while U.K. shares surged 0.69 percent. The MBA reported that its index of mortgage application activity fell 1.60% in the week ended April 4. US wholesale inventories rose 0.50% in February, versus economists' expectations for a 0.50% gain. The Federal Open Market Committee will issue minutes of its latest meeting at 2:00 p.m. ET. The Treasury is set to auction 10-year notes.